2019 TRFD #2 Breakfast with the Easter Bunny! 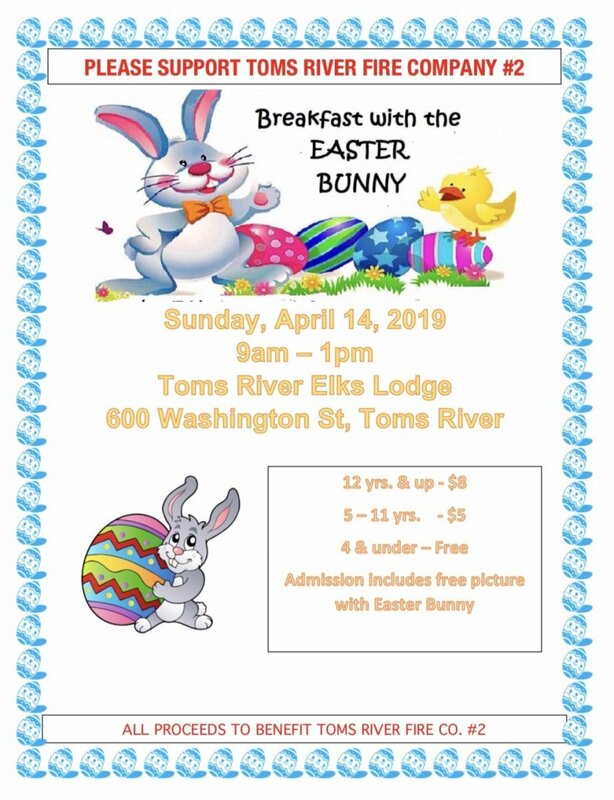 Sunday, April 14th please come out and have breakfast with your Local Toms River Fire Company #2 Firefighters and a Special Guest the EASTER BUNNY!!!!!!!!!!.. Breakfast will be served at the Toms River Elks Lodge, 600 Washington Street, Toms River, NJ Cross of Clifton Avenue. Breakfast is $8.00 for 12yrs and up, $5.00 for 5-11yrs, & 4 & Under eat free!